← Bits: Train Expo Weekend. I meant to post this last Wednesday, but…I’ve been a blog slacker. But I couldn’t skip how cute this is! 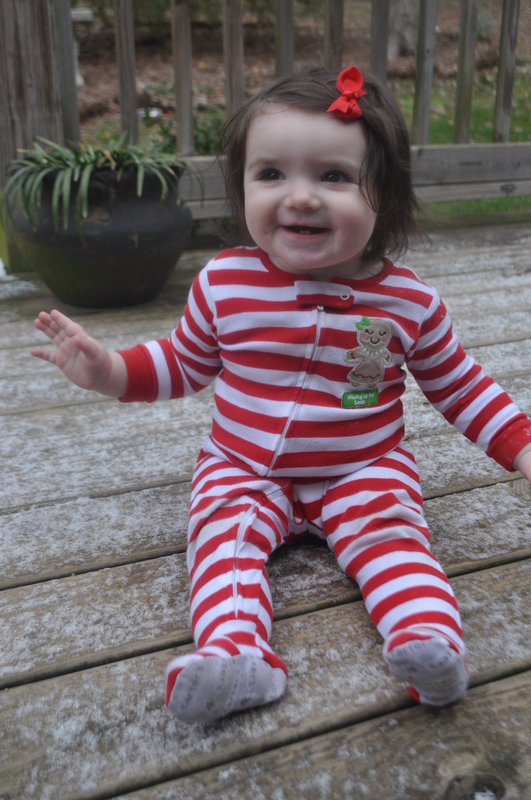 Alice in her first Georgia blizzard. This was a different day than Tom’s snow (flake) day. I mean…we get snow ALL. THE. TIME. around here! She thought it was awesome.